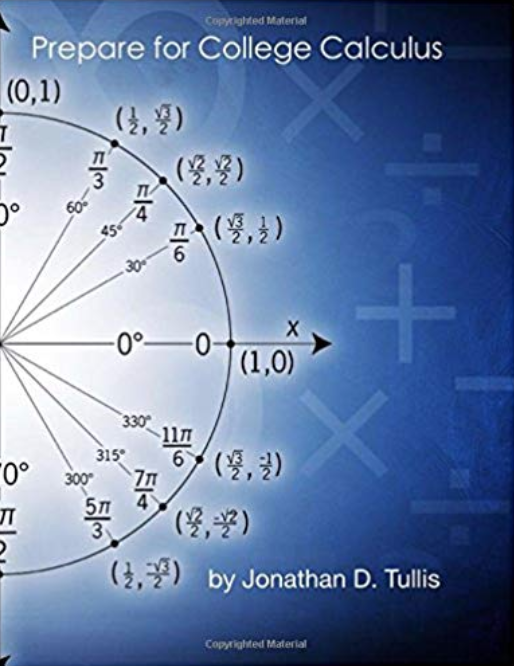 Prepare for College Calculus: A review of Algebra, Trigonometry and PreCalculus with a crash course of Differential Calculus techniques. Are you taking or planning on taking calculus? Concerned about what you may or may not need to know from previous courses? "Prepare for Calculus" provides a detailed breakdown of everything needed from precalculus courses with examples, tips and tricks along with a crash course on the first months or so of calculus. With this book, you will be overly prepared for the course! The book also has dedicated video library to go along with it via YouTube and Facebook.